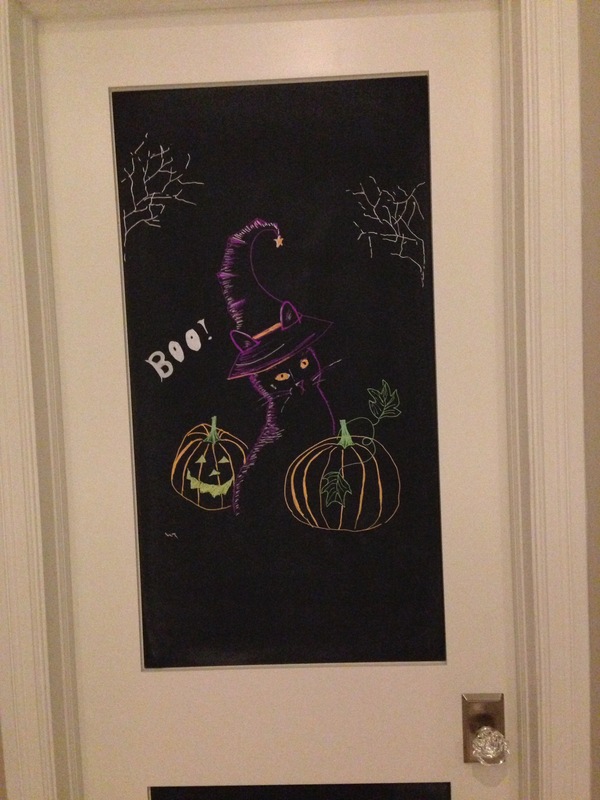 The pantry door in our house has a chalkboard on it. When we first moved in, I didn’t think I would use it very much, but it turns out I was completely wrong on that score. Both of my daughters have drawn things for me, and even I, with little skill in drawing, have taken a crack at it. Then, I discovered erasable chalkboard markers that actually wipe off with a wet cloth. Squee! So much more colourful and no dust! 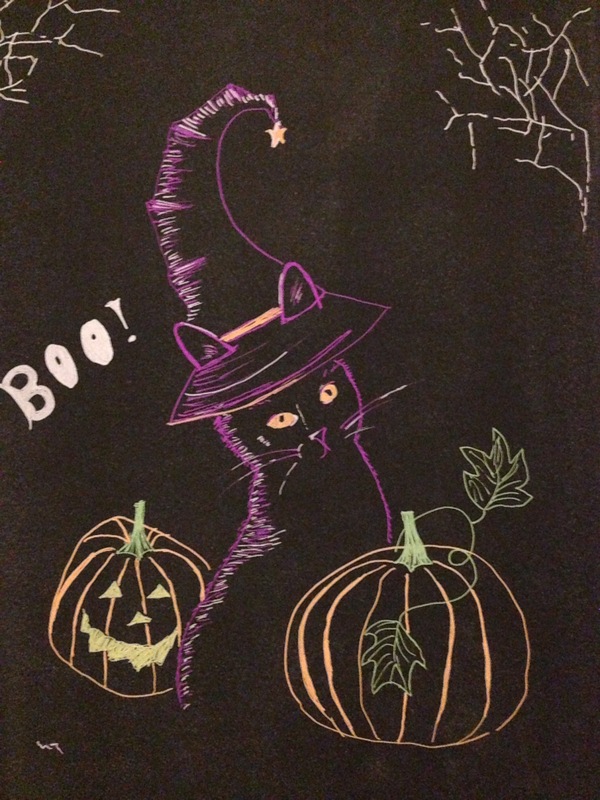 My younger daughter drew this for us on Halloween. I like it so much that it may well be Halloween in our kitchen until Advent!